136th Supreme Convention of the Knights of Columbus in Baltimore, MD, USA, August 7-9, 2018. 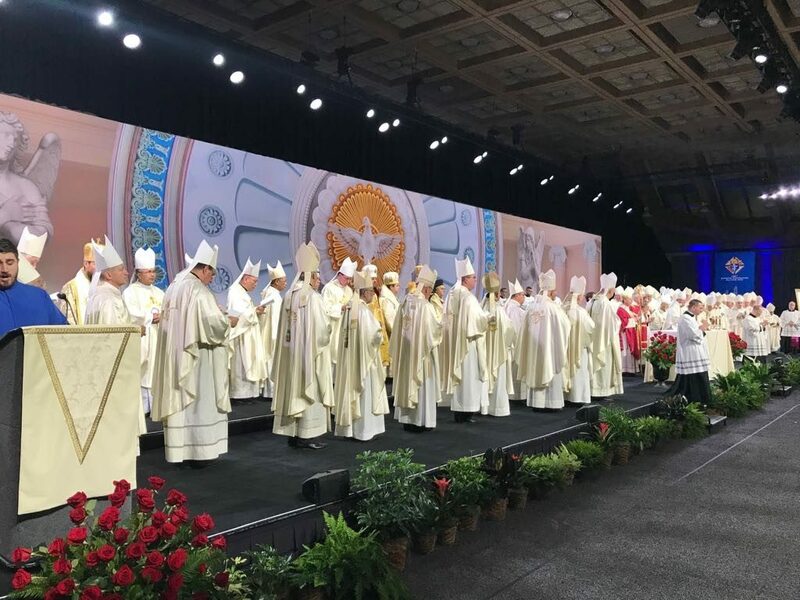 Pope Francis on August 7, 2019, sent his greetings and gratitude to the 136th Supreme Convention of the Knights of Columbus, gathered in Baltimore, Maryland, August 7-9. His sentiments came in a letter to Supreme Knight Carl Anderson from Vatican Secretary of State Cardinal Pietro Parolin. In the letter, the Cardinal said the Pope the Pope is grateful for the many good works of the Knights, especially those who suffer for their faith. “Pope Francis encourages the persevering efforts of the Knights of Columbus, at every level, to bear witness to the love of God through concrete love and solidarity for the poor and those in any need,” Cardinal Parolin wrote. His Holiness Pope Francis was pleased to learn that from 7 to 9 August 2018, the 136th Supreme Convention of the Knights of Columbus will assemble in Baltimore, Maryland. He has asked me to convey his warm good wishes to all present, together with the assurance of his closeness in prayer. The theme of this year’s Convention – Knights of Columbus: Knights of Charity – clearly evokes the founding spirit and the distinguished history of your Order. It was the inseparable bond of faith and charity that led Venerable Father Michael McGivney and the first Knights to establish a fraternal society committed to the Christian formation and mutual support of its members. In our own day, the Holy Father has summoned the entire Church to a renewed consciousness of this, our responsibility to be guardians of one another and to live concretely the faith which expresses itself through love (cf. Gal 5:5). In his recent Apostolic Exhortation on the Call to Holiness, Pope Francis spoke of the Beatitudes as the “identity card” showing that we are true followers of Christ. Indeed, the Sermon on the Mount gives us “a portrait of the Master, which we are called to reflect in our daily lives” (Gaudete et Exsultate, 63), especially through loving concern for the least of our brothers and sisters. The great saints, whose imitation of Christ continues to inspire us, daily united faith, prayer and practical charity. 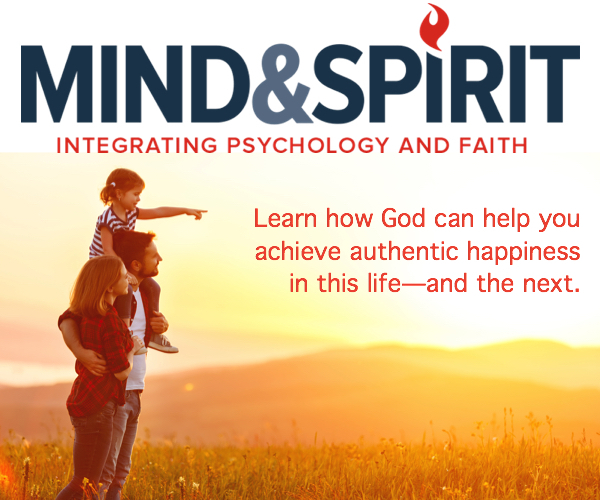 In the Holy Father’s words, “mental prayer, the love of God and the reading of the Gospel in no way detracted from their passionate and effective commitment to their neighbors” (No. 100). For this reason, Pope Francis encourages the persevering efforts of the Knights of Columbus, at every level, to bear witness to the love of God through concrete love and solidarity for the poor and those in any need. The innumerable acts of charity undertaken often in quiet and unassuming ways by members of the local Councils, show the truth of those words of Mother Teresa of Calcutta so close to his own heart: “God bends down and uses us, you and me, to be his love and compassion in the world… He depends on us to love the world and to show how much he loves it” (cf. Gaudete et Exsultate, 107). It is the Holy Father’s hope that the Knights’ “Faith in Action” program, through the addition of a “Helping Hands” component, will bear fruit in a creativity of charity, ever more adapted to the new forms of poverty and human need that are emerging in society today. As His Holiness prepares to travel to Ireland for the World Meeting of Families in Dublin, he wishes me to express his gratitude to the Knights of Columbus worldwide for their commitment to proclaiming the Gospel of the Family, encouraging men in their vocation as Catholic husbands and fathers, and defending the authentic nature of marriage and the family within society. As he noted in the Apostolic Exhortation Amoris Laetitia, “the Church is a family of families” (No. 87), through which the faithful and redemptive love of Christ constantly expands in our world, drawing hearts to himself and bringing that peace which the world cannot give (cf. Jn 14:27). He is confident that your Order will continue to provide guidance and support above all to new generations of young men, who in a world filled with lights contrary to the Gospel, seek to remain faithful disciples of Christ and loyal sons of the Church. Finally, the Holy Father renews his gratitude for the charitable outreach of the Knights of Columbus towards our brothers and sisters, members of the larger Christian family, who endure prejudice and persecution for their faith. He asks the Knights and their families to continue to pray for peace in the Middle East, the conversion of hearts, a sincere commitment to dialogue and the just resolution of conflicts. Commending the deliberations of the 136th Supreme Convention to the intercession of Mary, Mother of the Church, His Holiness assures the Knights and their families of a special remembrance in his prayers. With great affection he imparts his Apostolic Blessing as a pledge of strength and peace in the Lord.